Here's an interesting watch: Northern Hemisphere Watch. 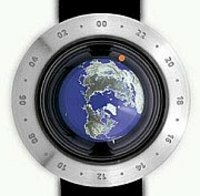 The virtual earth rotates once a day as the real earth does in a counter clockwise direction with the time zone indicator pointing to the correct hour on the bezel. The orange dot serves as the minute hand rotating clockwise as in a traditional timepiece. 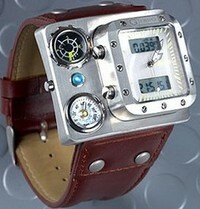 Want to keep track of time but hate wearing bulky watches? 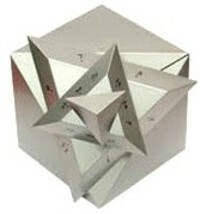 Check out Timeflex. One of the most innovative watches of its time due to its touch-driven technology the T-Touch offers a precision instrument at your fingertips, combining high technicality and performance with cutting-edge design and ease of use. That’s why we call it the SUW -sport utility Watch. It’s as durable as a real SUV, and its design is unlike any seen here before! Its 1.5-by-2-inch rectangle features a one-inch square timepiece that features analog and digital time, a light so there’s always one at the ready, a stopwatch and Japanese movement. Also featured is a fully-functional compass, a thermometer that gives the temperature in Celsius, and a 10-inch genuine leather band. To Infinity and Beyond! Have you ever looked into the vanity mirror, to see your own reflection many times over? Well, this watch projects the same image. By using mirrors, the electroluminescent coated hands and dots reflect over and over again in an Infinitive manner. 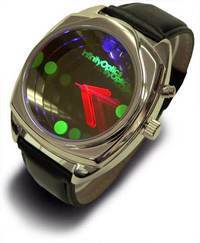 Not only that, when pressing the button the Black light sets the watch aglow. Quite a unique concept. Meet the new member of the Garmin Forerunner Series, 305 GPS Sports Watch. I bet this is what all athletes are dying to hook on. 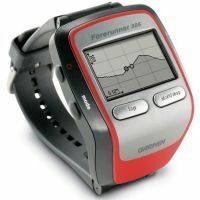 It’s a personal trainer that keeps track of your heart rate, speed, distance, pace and calories burned. The athletes can see live the functioning of their bodies during workouts on the customizable screens.